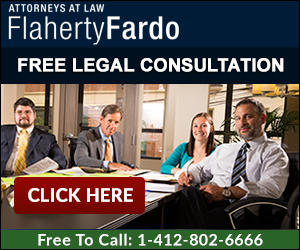 Attorney Noah Paul Fardo, Managing Partner of Flaherty Fardo, LLC a Pittsburgh law firm, was recently interviewed by the USA Today. The article was a cover page piece on the continued practice of non-qualified doctors attempting plastic surgery. Doctors do not have to be plastic surgeons to attempt plastic surgery. 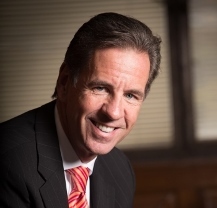 Over the last decade, Flaherty Fardo has taken a special interest in helping to compensate victims of dermatologists, OB/GYN’s, and general surgeons who injure patients when they attempt procedures they are not qualified to perform. These cases typically involve failed breast reductions, botched breast augmentations, and/or injuries suffered during liposuction. A victim of plastic surgery has elected plastic surgery either for aesthetic reasons or for health-related reasons. The last thing that these victims need is to end up worse than when they started. These cases may require painful and costly corrective surgeries. The reason that these doctors are attempting plastic surgery is simple … money. Plastic surgery typically requires full payment before surgery and most often does not require the haggling of the insurance companies over payment. Many lawyers have been reluctant to accept plastic surgery cases for fear that juries will not be sympathetic to an individual who has an ‘elected’ surgery, over one which was medically necessary. What we have learned is that the lack of training by these defendant doctors has been so shocking and grossly negligent, that the monetary recovery for these victims can be quite substantial. Non-plastic surgeons are actually forming their own societies which sound credible, and offer weekend courses on how to perform surgeries, such as breast augmentations. Obviously, a weekend course cannot provide the same level of competency as a 5 year residency in plastic surgery. At the end of the weekend course, the physicians are handed a certificate, which specifically states that “this does not confer a level of competency”. If you have been harmed during a plastic or cosmetic surgery, it is imperative that all aspects of your doctors training are properly investigated. Many times we will find that the defendant doctors claim to have been trained in other states, only subsequently to learn that they were not even licensed to practice medicine or to train in that state. Lawsuits involving plastic surgery, especially cases involving non-plastic surgeons require experience in these types of cases. If you have additional questions about non-qualified doctors attempting plastic surgery please contact attorneys Noah Paul Fardo, Esq. or Shawn T. Flaherty, Esq. at 412.802.6666. Read more about Plastic Surgery Errors.